theaub had the most liked content! What a trash rig. Garbage travel for the knockout round as well (Houston/Glendale instead of Philly/Nashville if we were in the bottom half). The Gold Cup does it so that the only way US/Mexico can meet is in the finals. A+B are on one side and C+D are on the other side. The match in Cuba was a struggle. They put us under a ton of pressure in the last 20 mins after Lars got sent off. 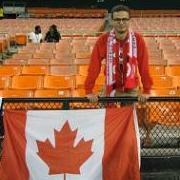 The bad Honduras match was in Montreal - they couldn't even fill out the old north end at BMO back in 2012. Canada/Jamaica in '08 was definitely a sellout. Canada/Panama in '12 might have been, if not it was close. I don't think this has been an issue for at least 10 years. Although there hasn't been a useful match in Toronto since the Gold Cup in '15. BC Place if its a weekend, BMO if its a weeknight Although I'm not sure what the point of the ol' National Soccer Stadium is if it doesn't host this type of match. The emblem looks like when someone uploaded a bad CSA logo to the team creator in FIFA '12 or something. 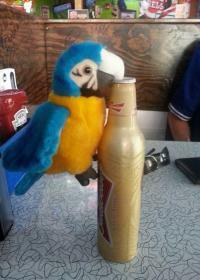 I just want to know who is routinely in bars on Tuesday and Wednesday afternoons because I would like that job. I think I'm the opposite than most for CL. I have IPTV at my condo so I don't have access to the Rogers/Bell online stuff - the ability to just stream DAZN in the background ("background") at work and listen to CL has been awesome. The added access to basically every other relevant available league except Bundesliga and local MLS is great too. The big thing I like about DAZN is that you don't have to worry about your game getting shunted to SN World or only being on TSN Go. And they have Canadian-specific commentary teams so they focus on Canadian players etc a bit more when they're involved. Wow, CPL and the MNT and WNT.